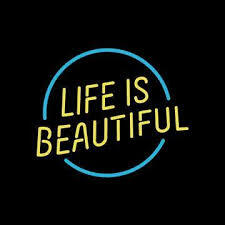 Life is Beautiful with God. No matter where you’ve been or what you’ve done, God’s arms is always open to you. His love is so awesome that no one can truly explain it’s greatness. His willingness to forgive us of our many sins and still love us through the things that we do to that truly hurts Him makes me speechless. I know that there is no way that I can make it in this life without Him. He is the alpha and the omega, the beginning and the end and I am blessed to have Him as my best friend. So remember, regardless of what season your life is currently in, life will always be beautiful with God in it. Take care, stay encouraged and God bless you my encouragers. Please check out when God is with you nothing can get you.. Thanks for stopping by and have an amazing day. Take care, stay encouraged and God bless you.